Schola Cantorum combined with St. Nicholas Choir are privileged to be invited to serve as the Choir in Residence at Worcester Cathedral, Worcester, UK in July of 2016 for a week. The Choir Residency will be a strong sign of sharing our gifts on a global level, and is an amazing opportunity for growth for singers, especially our youths. Our youth from St. Nicholas Choir will be responsible for singing the treble part for all these services with adults singing other parts of the choir. This is the structure that we usually see in traditional English Cathedrals, but rarely found in Arizona. 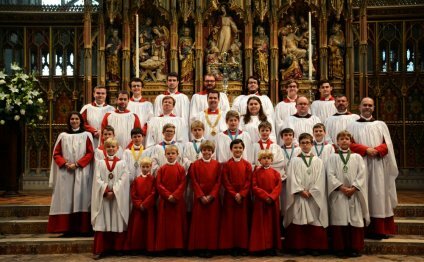 English Cathedrals have high expectations on the quality of singing, repertoire, ability to lead the worship in the liturgy, and to be invited to lead Choral Evensong services is truly once in a lifetime opportunity for many of these young singers. The preparation for this residency will also propel the growth of our singers in their understanding of liturgy, music, vocal technique, overall musicianship, and “hands-on” leadership experience. This residency will also help in making connections to other Anglican communities around the world, who treasure the wonderful gift of Choral Evensong, and will build stronger bonds and community globally.